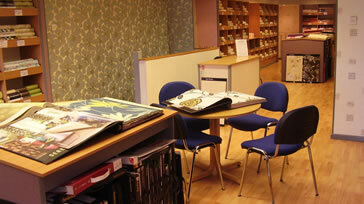 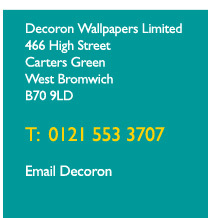 Formed in 1966, Ron and Janet Welch set up Decoron Wallpapers Ltd, a specialist decorating store that offers quality, choice, value and service. 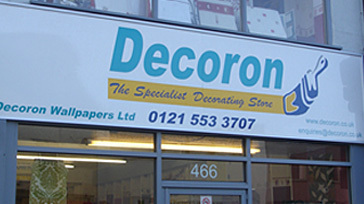 Today, more than 40 years on and with the founding directors still actively involved, the business is headed by their son, Mark who still up holds the original values, values that have seen the business grow and establish itself as the leading supplier of decorating materials in the area. 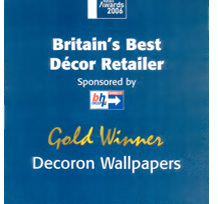 As an award winning company we hold a strong position in the market place, it is our objective that once you have used Decoron, you will have no need to ever look elsewhere or have the need to use a competitor.